Just about a week ago we were asked to help with a situation, the caretaker of 15 cats had passed away. This meant there was no one to care for the cats, some of which lived inside, but the majority lived outside. HOULTON, Maine — Just about a week ago we were asked to help with a situation, the caretaker of 15 cats had passed away. This meant there was no one to care for the cats, some of which lived inside, but the majority lived outside. In talking with the family it was clear that they needed help. None of these cats had been altered and we could not leave them there to keep reproducing. So last Monday we started the process of catching these cats. On day one we were able to get four of the cats two from inside and two from outside. We also took in the four sick kittens that were living outside, so our first day was pretty productive. The second day we caught one and from there on out it became a little more difficult to catch them. They were all terrified and didn’t understand that we were trying to help them. On Thursday we took one of the females that we had caught to the vet because she was having problems breathing. She had a growth in her mouth that was preventing her from eating it was also affecting her breathing. The growth was removed and she was spayed at the same time. We have named her Zoe and she is now back at the Ark resting comfortably. At this point we have managed to catch 14 of the cats, there is still a little female out there who is living outside and is proving to be very difficult. We will not give up until she is caught. Taking in 15 cats and getting them all vetted out is a monumental task especially if you are a small rescue with no town or state funding. We knew it was going to cost around $3,000 to do this and that just wasn’t in the budget. This was so important and we had to figure out a way to get it done, so we asked you the public to help. We started this process on a Monday. We put the word out there and by Saturday we had raised the $3,000. We were amazed that so many people came together to help 15 cats that they had never even met. This is 15 cats that needed medical attention and the chance at a better life. Because of each and every person that donated these cats will get the chance at life that they so deserve. Ten of the cats have vet appointments next week to be neutered or spayed, vaccinated, tested and treated for fleas, ear mites and worms. Once that is done they will officially be up for adoption. We are in hopes that some might find a new home for the holidays. As the busy holiday season approaches we are gearing up for the last of the bake sales until February. There will be a bake sale every weekend until Christmas outside the Hollywood Pet Salon. We will be taking the month of January off. The bake sales will resume in February. Please join us on Saturday, Dec. 1, for our annual “Miracle on Mechanic Street” event. There will be pictures with Santa, a silent auction, we will be selling trees and wreaths as well as our regular bake sale. 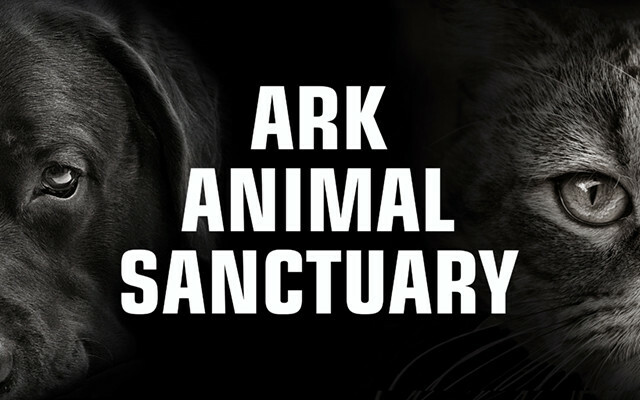 The Ark Animal Sanctuary is located on 101 Old Woodstock Road. To contact the Ark, call 532-7387, check out their Facebook page.